In 2008 I was lucky to live in Kenmore Square, Cambridge, MA. Firstly, Cambridge is a great city to live in, both as a single person and with a family – just a great quality of life. Secondly, two streets away from where I lived was a company, called HubSpot, that was really coming on the social media scene. What makes HubSpot fantastic is commitment to free service and free education to any and all willing and wanting to learn about search engine optimization, Web 2.0, social media marketing, and search engine marketing, and the tools, insights, and principles bubbling around the digital and inbound marketing social media scene. Luck, as well, that through the HubSpot team I was introduced to the thinkers and pioneers in the field, all approachable all evangelists for transparency and all willing to share any discovery they made with you. An incredible community … and HubSpot threw some great parties at their office and where they also filmed HubSpot.tv live. 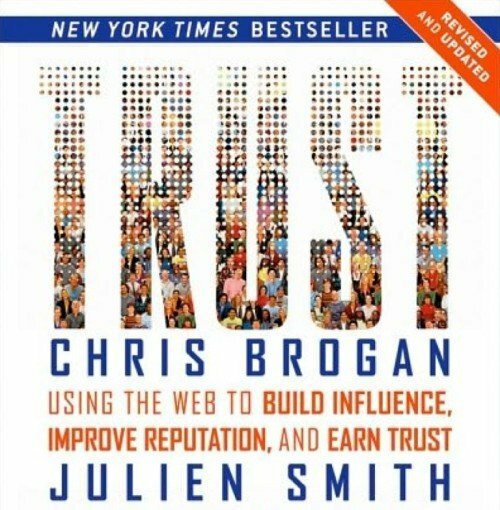 So, the book, anyway, Chris Brogan is a trust agent, absolutely. 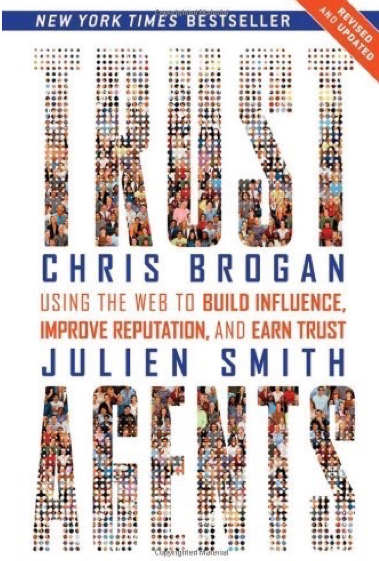 Want to know what a trust agent is, the book he wrote with Julien Smith is a great introduction to what it takes to become a trust agent and to build and maintain trust agent bona fides. Who should read this? Anyone dabbling in social media, as either a hobbyist or a contributor for a non-profit, volunteer organization, business, or community. You can also take a look at my Learning Timeline for Community, Social Media, and Persona Design for other sources.